This lovely Victorian villa has recently undergone complete refurbishment throughout. Arranged over three floors the property offers stylish and very well presented accommodation designed for modern living whilst retaining a wealth of character and period features that include working fireplaces, sash windows and cornice ceilings. Outside there is a pretty enclosed patio garden ideal for alfresco dining and beyond that a lawned garden, vegetable area and to the side is a double garage. Due to Beckingtons excellent schools and close proximity to both Bath and Frome houses of this type are highly sought after and an early viewing comes highly recommended. Door to front. Stairs to first and garden level. Radiator. Bamboo flooring. Bay sash window to side. Marble fireplace with wood burning stove. Two radiators. Corniceceiling. Picture rail. Dual aspect sash windows to front and side. Working fireplace with marble surround and mantle. Built-in bookshelves. Two radiators. Cornice ceiling. Picture rail. Sash window to side. Built-in wardrobes. Radiator. Window to rear. Pedestal wash basin. Low level WC. Radiator. Built-in cupboard. Sash window to rear. Door to rear. Ceramic sink unit with mixer tap. Plumbing for washing machine. Large built-in storage cupboard also housing central heating boiler and airing cupboard. Dual aspect window to front and side. Fireplace with cast iron grate. Two radiators. Sash windows to front and side. Door to side. Range of bespoke kitchen units with granite worktops. Britania range cooker. Built-in dishwasher. Double Belfast sink unit. Radiator. Space for table. Three sash windows to front and side. Radiator. Bamboo flooring. Dual aspect windows to front and side. White suite comprising panelled bath with mixer tap, separate shower cubicle, low level WC and wash basin inset to vanity unit. Heated towel rail. Bamboo flooring. Three sash windows to front and side. Fireplace with cast iron grate. Bamboo flooring. Sash window to side. Built-in wardrobe. Radiator. Bamboo flooring. Window to front. Two sets of built-in wardrobes. Window to rear. White suite comprising shower cubicle, low level WC and pedestal wash basin. Heated towel rail. Tiled flooring. Outside the lovely garden is divided into two distinct areas. 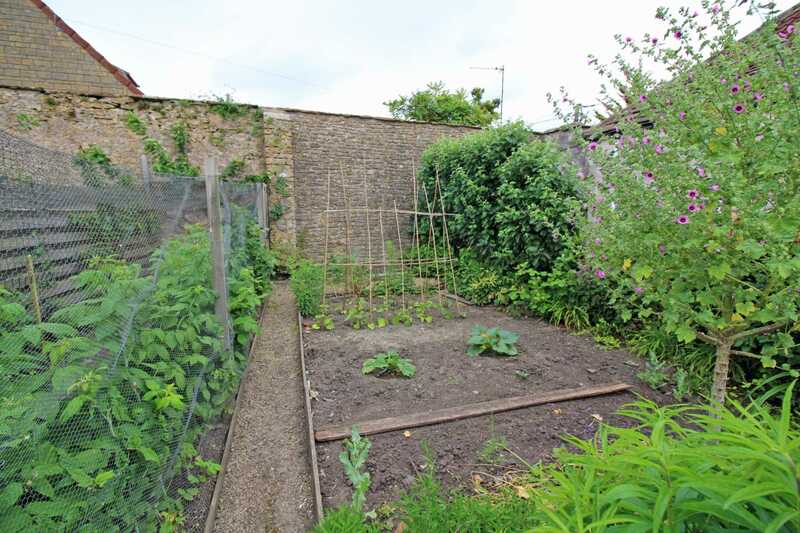 To the rear is a lawned garden with an abundance of shrubs, bushes and trees which in turn leads to a vegetable garden. To the side is a delightful multi-tiered and well stocked patio garden with small pond, side access and door leading into the garage. To the side of the property is a double garage with light and power.